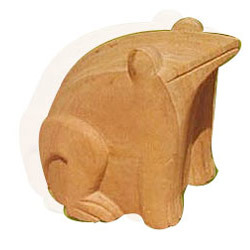 We have a range of crafted stone animal figures that can be used as a garden dicor or patios. Animal figures placed in the foliage gives the green areas a natural look. Exquisitely carved ones are good interior decoration objects. Animal wall plaques give the garden that antique appeal. 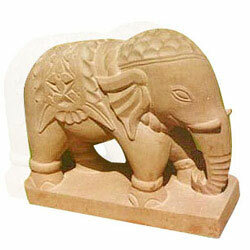 Beautifully Carved Elephant Statue dressed in a Royal attire. Decorative Garden Tortoise peeping out of it's protective shell. 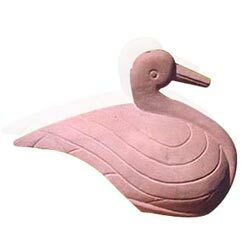 Decorative Garden Duck in a sitting position. Dimension : 24" x 2 Pcs. 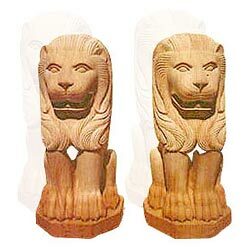 The Garden Lion Statues have made your garden their abode. Welcome your royal guests. 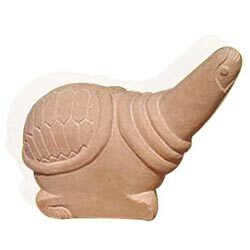 The sculpted two piece sculpture is available in red, beige, pink, brown, mint, white, gray, etc colors of sandstone and white, pink, green, black, etc colors of marble. 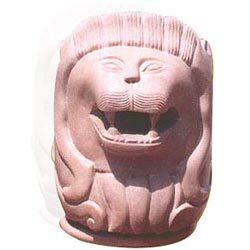 A Beautifuly Crafted Roaring Lion face. 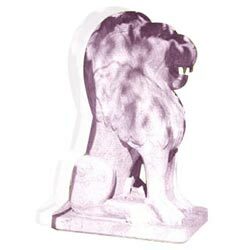 Sitting Lion Statue for your garden and entrances. A finely crafted animal sculpture. 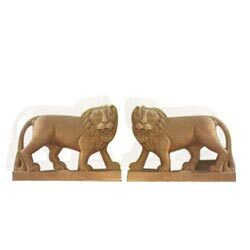 A Roaring Lion Couple Statue to add to the boldness of your interior.